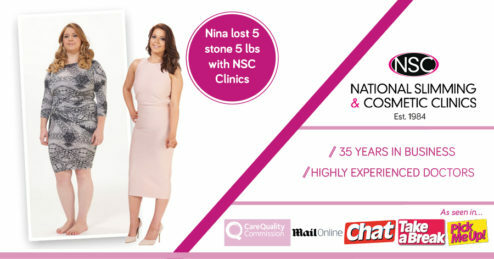 Kick start your weight loss journey with a free mini health check at NCS Bristol on Bond Street. Worth £50, the free mini health check will look at your body mass index (BMI), waist to height ratio, % body fat, % body water, random blood sugar, and blood pressure. Body Mass Index (BMI) is a calculation that uses your height and weight to measure how healthy your weight is. The higher your BMI is, the greater the risk to your health, as in general your BMI increases as your weight does. For most adults, your BMI gives a good-estimate of any weight-related health risks of being overweight or obese, such as high blood pressure, type 2 diabetes, heart disease and some cancers. Waist to Hip Ratio (WHR) is a measurement that helps to identify people who carry more weight around their waist than their hips, as these people are at a greater risk of conditions such as heart disease and diabetes. It is a simple calculation based on the measurement of your waist and the widest part of your hips. The higher your WHR, the more weight you are carrying around your waist and the greater the risk to your health. Everyone requires a certain amount of body fat for a well-functioning healthy body. Body fat performs several important roles such as protecting our vital organs and maintaining our body temperature. However too much body fat can be detrimental to your health and increases your risk of weight-related conditions such as high blood pressure, type 2 diabetes, heart disease and some cancers. Over half of the human body consists of water and being well hydrated is vital for a healthy body to function properly. Having a low total body water can lead to lack of concentration, sluggish performance and low metabolic function. On average it is recommended to drink two litres of non-caffeinated low-sugar fluids each day. whether you are at risk of developing diabetes. Blood pressure is a measurement of the force your heart is pumping blood around your body. The systolic reading is the pressure as your heart pushes the blood out and the diastolic reading is the pressure when your heart rests between beats. High blood pressure can be related to being overweight, unhealthy lifestyle habits such as smoking and excessive alcohol consumption and lack of physical activity. Book online at nscclinics.co.uk or call 0800 917 9334. Offer valid at NSC Bristol only.